Here's what its going to look like! 1st cover star NZ's own Mike Dawson. What's going to be inside? 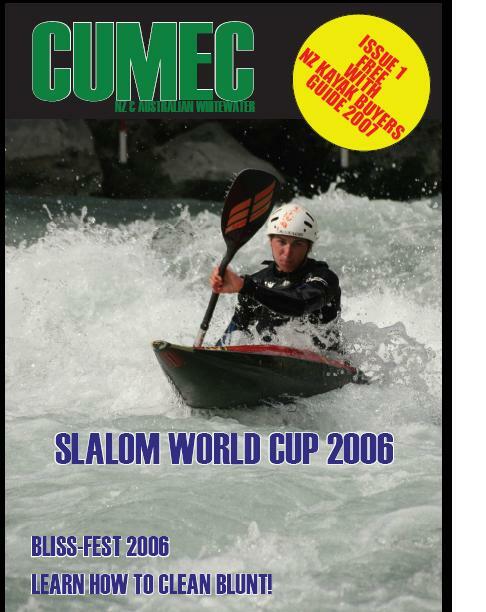 Well Mike has spun a little bit of a yarn about the Slalom World Cup, a look into Bliss-Fest 06 the lower South Island's 1st kayak festival & Anthony Yap from Melbourne gives an explanation on how to get out your dish cloth and make your blunts clean (Clean Blunting that is). Cheers to everyone that has given me feedback, articles, photos & advice as the magazine has been progressing. Also support all the people advertising in the NZ Kayak Buyers Guide, because they too are just trying to make a living out of a passion.